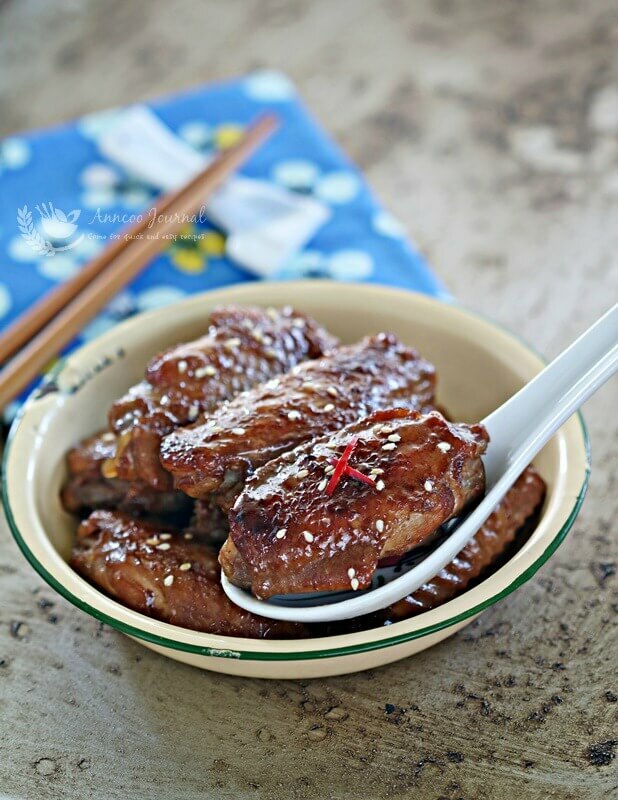 This is a quick and easy way to cook these delicious pan fried chicken wings with oyster sauce and which can be served on the table within 15 minutes. In fact I had cooked this homey dish a few times 😀 Just marinate the chicken wings for a few hours or overnight with the ingredients available in your pantry. Definitely a great recipe for busy mothers on the go. Combine seasoning in a bowl. 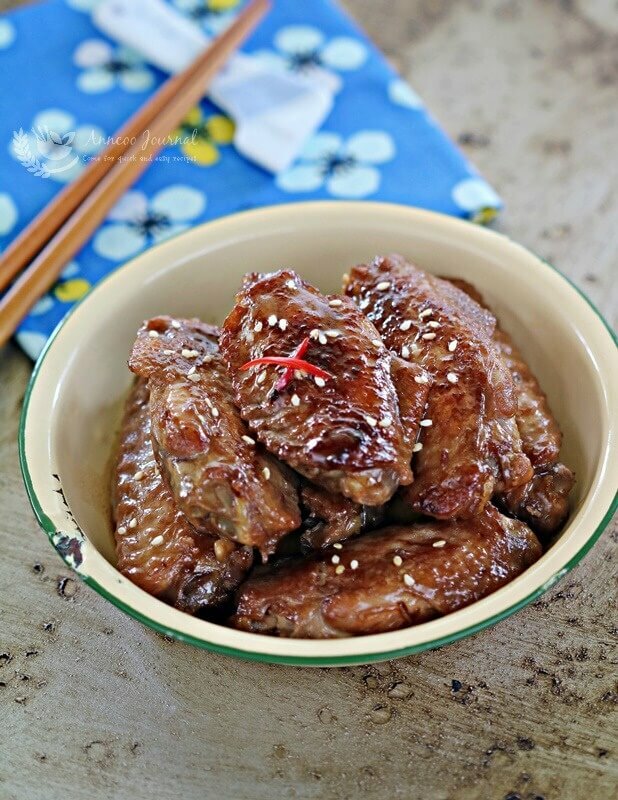 Marinate chicken wings with the seasoning for a few hours or overnight in the refrigerator. 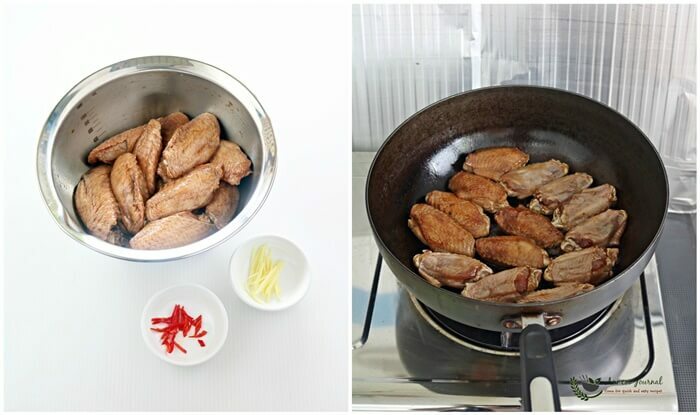 Heat up frying pan with some oil and pan fry chicken wings on both sides till brown at medium heat. Add in the shredded ginger and chillies and continue to fry the chicken wings to almost cooked. Pour in oyster sauce and water, bring to a boil. Lower heat and simmer for about 10 minutes or until sauce slightly thickened (you may add a little more water if you find the thickened sauce is too salty). Garnish with some toasted white sesame seeds and serve hot immediately. 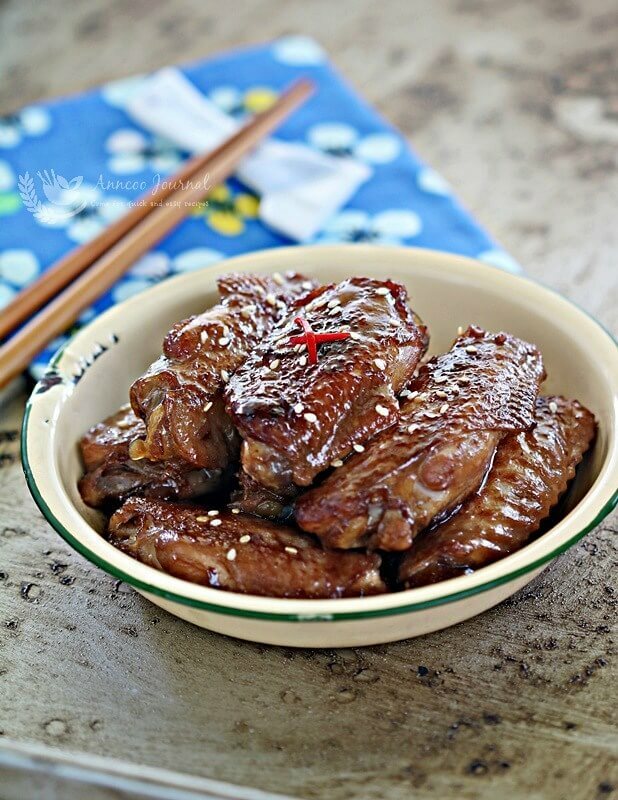 These wings look so yummy, bookmarked!